Alita Burmeister, Ph.D. - Side Projects, The Blog! For anyone who has hesitated to teach evolution, closes down at the idea of drift, or uses the term "% homology," Jim Smith and I wrote this review to help clear up common confusions and make evo life a bit easier. The Perspective, published this month in ASM's education journal, discusses why evolution is so critical -- but still underused and misunderstood -- in the biomolecular sciences. We share our vision for how to teach and think evolutionarily, and we review a slew of published studies and resources for doing so. ​I'm pretty excited about this "Side Project" especially Table 1, which I see as a handy guide to speaking the Language of Evolution, equally useful for research as for teaching. We hear more about antimicrobial resistant infections every year. Where are these pathogens coming from? In a new article published in Evolution, Medicine, and Public Health, I explain the role of horizontal gene transfer in the evolution of antibiotic resistance. 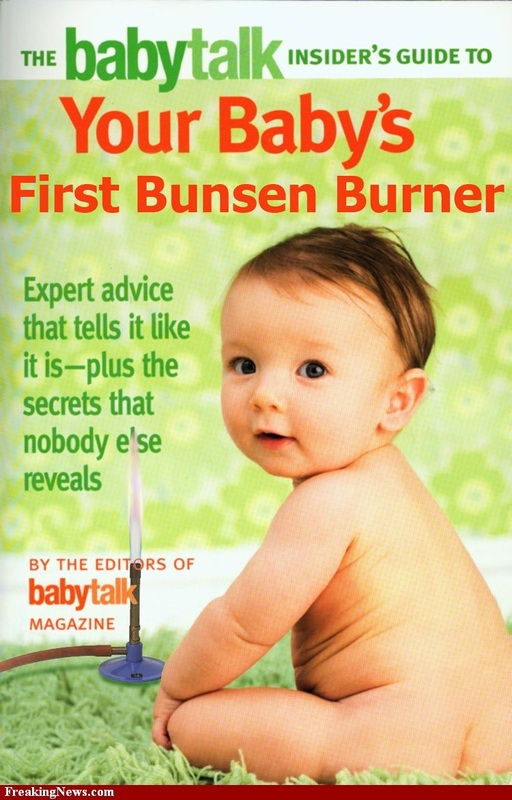 Check it out it at: Burmeister, A. 2015 Horizontal Gene Transfer. EMPH doi: 10.1093/emph/eov018. I just came from a productive and fun lab meeting that involved everything from celebrating a labmate's research highlight, learning about python config files, talking about parallel evolution, eating pita chips, and hearing a fascinating story about how metapopulation sequencing was used to solve the 2001 anthrax mystery. Lab meeting fail: I once brought homemade hummus to lab meeting, but I forgot the tahini. And it was still pretty chunky. I also neglected the pita chips. No one ate it. My objective for this post is to address the presenter's block voice that cries out "Nothing to present!" and seems to happen to many grad students in the week leading up to lab meetings and other informal presentations. (At MSU, these include BEACON, MMG's GSW, and the "Bad Bug Club.") I hope these ideas will encourage optimism and confidence, which make us better scientists and help us feel better as people. I like Dynamic Ecology’s list of lab meeting ideas, especially popcorn meetings, ethics, elevator pitches, non-academic careers, the publishing process, and classic papers. I also like round tables and in-depth research discussions. For cultivating lab culture -- no, not E. coli -- during lab meetings, this short guide from Lena Ting has useful tips. New literature: Presenting a paper is a great way to get some presentation practice, try out assertion-evidence slide design, and/or to begin thinking about a new research area. I’ve seen this method used in at least one journal club, a lab group I’ve been part of, and two of my ecology courses. Paper/proposal drafts: I like the idea of sharing progress on written work, but I don't think that group reading sessions are the most efficient way to communicate. Instead, I suggest turning a written proposal into an oral presentation, using figures of previously published work, diagrams of experiments, hypothetical results, etc. For manuscripts, consider making a conceptual diagram or graphical abstract that summarizes your findings. Everyday results: These include what’s working and what isn’t working. They include protocol development, preliminary results, surprising observations, and many other things. Even if I haven’t stepped in lab yet, I may have new insights from a BLAST search or genome alignment. Some of my projects have started with simple observations, like some phage genotypes decaying faster than others during stock storage. I may or may not have an interpretation for these types of observations yet, nor a clear idea of how they might turn into an avenue of research, but I can usually come up with a couple of concrete ideas to start a discussion. Also, scientists (your labmates) like weird results and puzzles. Experimental design: There are times I wish I had sat down for 30 minutes to plan out my approach for lab work or computing and then run my plan by my lab group. Best-case scenario: the plan is sound and the lab agrees. Another great scenario: There are ways the plan could be better, and the lab catches them before I waste a lot of time. Practice talks: My first practice talk was to be my first committee meeting presentation. The practice round didn’t go well, mostly because I didn’t realize that the presentation should be a well-organized narrative, not just bits and pieces of data and ideas. But, I took the feedback from my lab and flipped the presentation, resulting in a happy committee and my P.I. noting that I did a great job during the quick revision process. Practice (parts of) talks: I also think it’s great to begin practicing parts of talks – for example, by preparing two or three intro slides for whatever bits of research-in-progress data you might have. Side projects and course projects: Research is research, whether it's a main dish, side, or snack. My program has several courses that involve independent research projects. In one, I reanalyzed data from a previous publication from the lab. In another, I made an analytical model of host-parasite interactions. When I'm unsure whether or how these types of projects could be further developed and published, I consider them good candidate topics for lab meeting. Computation demo: Labmates have shared demos of useful tools, including Github and software developed internally. I think this works well for tools in development, as it's an easy way to get feedback on features, priorities, tips on how to code something, and volunteers to help review. That lab meeting I mentioned at the top of this post was one of these. Research results: If the above practices work and we do ours, eventually we end up with results. These likely include the final outcome of a well-developed protocol with a well-planned experiment. Even at this point, there’s work to do. Maybe the results could be represented in different graphical form, interpreted in another way, or put in the context of the literature -- that’s where your labmates are again useful. Overall, I think it’s probably pretty rare when we have absolutely nothing to present, or that we have nothing interesting we could come up with to turn into an informal oral presentation. I suggest envisioning what you see as a successful lab meeting, trying not to worry about whether X, Y, and Z are enough or whether you'll be able to fill 90 minutes (or whatever amount of time your meetings usually run). In my experience, less can be more, except in the case of pita chips. My labmate Mike usually brings pomegranate cheesecake. He also usually points out when variances vary across treatment groups. Imagine traveling across China for 27 days in a truck with this little guy to look after. While preparing for my department's Hsiung-Kimball award seminar, I learned a lot about the award’s two namesake scientists. Inspired by their stories, I share them here. Dr. Gueh-Djen (Edith) Hsiung (1918-2006) and Dr. Margaret Everett Kimball (1924-2011) attended Michigan State University together in the late 1940s. The Hsiung-Kimball award was endowed by Hsiung, who named the it for Kimball and her family. The two women were friends and roommates during their time at State, ~1947-1951, and their careers highlight biology’s 20th century triumph over infectious disease. “Gueh-Djen (Edith) Hsiung, an internationally recognized virologist and professor emeritus of laboratory medicine, died of cancer on Aug. 20 at Connecticut Hospice in Branford. She was 87. Born on Sept. 16, 1918, in Hupei, China, Hsiung graduated with a degree in biology from Ginling College in Chengdu, China. Her opportunity to attend medical school was lost, however, when Peking Union Medical College closed during World War II. Instead, Hsiung secured a job testing bacterial and viral vaccines for use in animals at the Epizootic Prevention Bureau of the Ministry of Public Health in Lanzhou, China. "From this early experience, Dr. Hsiung learned to be productive even in times of limited resources, a trait that served her well," wrote Dr. Marie Landry, her colleague in the Department of Laboratory Medicine, in a remembrance of her co-worker. "When charged with the transport of a stock virus for rinderpest vaccine without the benefit of refrigeration or dry ice, Hsiung injected the vaccine into a goat and then traveled to her destination for 27 days by truck, with the goat at her side." Hsiung came to the United States after the war and obtained her Ph.D. in microbiology from Michigan State University in 1951. At that time, she underwent surgery to fuse a congenitally dislocated hip, spending nine months in a total body cast. To pay her medical expenses, Hsiung worked for the next two years at the Wene Poultry Laboratory in New Jersey, where she developed the first vaccine for infectious bronchitis virus in chickens. Hsiung, MSU Ph.D. Student in Microbiology in 1951, became a world-renowned virologist on the faculty at Yale, lower right. I had only 10 minutes for my awards seminar, but I took a minute to share the great goat story and highlight Dr. Hsiung's career. After all, she graduated with Ph.D. in microbiology, from MSU (the degree I'm seeking) in 1951, which was the year Ester Lederberg discovered virus phage Lambda (my Ph.D. study organism) at the University of Wisconsin-Madison (where I earned my undergrad degree), making the award especially meaningful to me. And, the audience loved the goat. Michigan State's iconic north-campus bell tower, unchanged since it was built in 1928. The other half of the award’s namesake is Dr. Kimball, who graduated from MSU in 1949 with a Doctorate of Veterinary Medicine. She went on to test cattle for tuberculosis across the state of Michigan, practice veterinary medicine, and work as a meat processing plant inspector. She also made it to all 50 states! The MMG website says that “Dr. Kimball's family hosted Dr. Hsiung during her graduate career, and the two became close friends,” and Dr. Kimball’s obituary specifically mentions a trip to China with Dr. Hsiung, so it seems the friendship was a long and meaningful one. I’d love more details about Hsiung and Kimball’s friendship, perhaps because as I’m mid-grad school myself and have a hunch that grad school friendships are much the same now as they were 70 years ago. I would guess that then, as now, the academic environment forges lifelong friendships. Did these women talk about their research and emerging diseases over drinks? Did they review one another’s manuscripts? Did they go on autumn walks through the Baker woodlot? Did they celebrate with dinners out when they had a success? Maybe friends or family of Dr. Hsiung and Dr. Kimball will have stories or pictures to share. As I write my thank-you letter simply to “whom it may concern,” I would guess that some of those people include Dr. Hsiung’s nieces and nephews and their children, as well as Dr. Kimball’s children and their children. To all of you: your aunt and mother were two cool women I look up to and gain inspiration of as I walk across Michigan State’s campus today. Thank you for the award named in their honor! 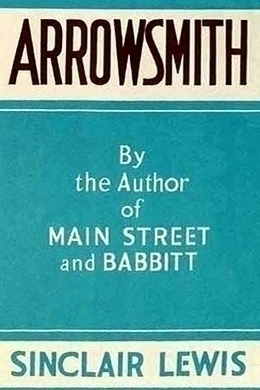 Arrowsmith (Sinclair Lewis, 1925) tells the story of an academic microbiologist and his research in early 20th-century middle America. The tale contains one of my favorite passages of academic fiction, encompassing math, imposter syndrome, late nights, and friendship all against a backdrop of phage research. I thought of this passage often as I relearned calculus in graduate school, coded differential equations into Mathematica, and read phage modeling papers. In the story (excerpt abridged below), Max Gottlieb is the senior scientist (think PI), Martin Arrowsmith is the new scientist (think grad student/postdoc/associate professor), and Terry Wickett is the guy working down the hall. All the wide placidness of his halcyon days was gone; he saw himself driven back to Pickerbaughism. By the end of his first nine months at McGurk, Martin had reviewed trigonometry and analytic geometry and he was finding differential calculus romantic. But he made the mistake of telling Terry Wickett how much he knew. Terry croaked, “Don’t trust math too much, son,” and he so confused him with references to the thermo-dynamical derivation of the mass action law, and to the oxidation reduction potential, that he stumbled again into raging humility, again saw himself an impostor and a tenth-rater. Ironically, the test focuses on historical establishment of civil rights while leaving test taker vulnerable to discrimination. Arizona just became the first state to adopt the U.S. Naturalization Civics test for high school completion, and other states are quickly following. Here's why the test fails. Before deciding my opinion (as a U.S. citizen and Michigan resident) whether this test should be required here, I assessed the test itself. The test has two major flaws: 1) The test has confusing instructions with often arbitrary answers; 2) the test is subjective, leaving test-takers vulnerable to discrimination. Instructions for the test are confusing and result in arbitrarily incorrect answers. The test prompts: “As you study for the test, make sure that you know the most current answers to these questions. Answer these questions with the name of the official who is serving at the time of your eligibility interview with USCIS.” For example, an acceptable answer to “What is the name of the Vice President of the United States now?” (Q.29) includes Joe Biden, the current Vice President. But other questions do not follow the format. “If the President can no longer serve, who becomes President?” (Q.30) Here, the correct answer listed is NOT “the name of the official who is serving at the time,” but instead lists the more general form “the Vice President.” Another example with the current Vice President question (Q.29) is that “Joe Biden” and ”Joseph R. Biden, Jr.” are acceptable answers, but “Joe R. Biden” is not an acceptable answer. This type of nuance happens repeatedly throughout the test. Those conflicting instructions and confusing answers are alarming because the test is administered by a person, orally, which opens the door to discrimination. The instructions state, “The civics test is an oral test … The USCIS Officer will not accept an incorrect answer. Although USCIS is aware that there may be additional correct answers to the 100 civics questions, applicants are encouraged to respond to the civics questions using the answers provided below.” For the vice president question, would “Joe R. Biden” be accepted? This is unclear; the judgement of correctness is subjective, decided by the test-administering officer. That leaves test-takers at the mercy of the test administrators, opening the door for implicit bias and discrimination to decide who ultimately passes. How would I do on the test? I used a program to randomly generate 10 numbers between 1 and 100 and gave myself the test. Try it yourself. I would have passed if I could be sure that Q.2 (“What does the Constitution do?”) would accept “established powers of the federal government.” To be fair, if I needed to take the test officially, I would study beforehand. But even then, if I were assigned an officer who was in a bad mood today, or if that officer just didn’t like my look, name, accent, makeup, clothes, or tone of voice, I would not be assured a fair shot. Question 77 asks, "What did Susan B. Anthony do?" Besides these social issues, a more general complaint from an educational assessment point of view is that the test assesses rote memorization of simple facts, not more general concepts and critical thinking which are more important for citizenship. I’d rather someone be able to write a letter to the editor of a newspaper stating their opinion on federal rights pertaining to marriage than recite the number of voting members in the House of Representatives (Q.21) or list the current Supreme Court Chief justice (Q.40). Before deciding whether to adopt the test as part of high school completion requirements, the test needs to do its homework, including open commentary and review by assessment experts, similar to how other education initiatives (Common Core, NGSS) are organized. Sorry, U.S. Naturalization Test, you failed this one. Should all biology classes include evolution? Lately I have been thinking about "evolution across the curriculum," the initiative promoting evolution as a core concept of biology that should exist in class of every subdiscipline -- from ecology to microbiology to physiology and biochemistry (Wei, Beardsley, & Labov, 2012). Working on a project to move evolutionary thinking into a microbial genetics course here at MSU, I am learning that transplanting concepts from one field into another is not so simple. In this post, I discuss how language can impede learning when terms have multiple definitions and non-scientific meaning for students. I find this type of language substitution to be tricky in microbiology (especially lab classes), where our methodology often involves us -- the researchers -- doing things for a purpose that involves a deliberate design. For example, we might design a genetic construct by moving a gene on an inducible promoter for the purpose of controlling gene expression. I frequently find myself using this type of language, for example, during a laboratory exercise on operons and gene expression I ask my students "Why is the E. coli colony blue?" 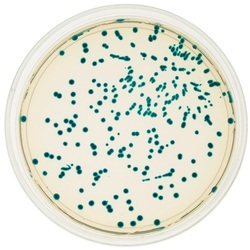 The colonies are blue because we designed the experiment to provide a colorimetric assay of enzyme activity: the cells have a gene (lacZ) which is transcribed into RNA and the RNA translated into beta-galactosidase. Normally beta-galactosidase helps the cell consume lactose, but in this case we've added an artificial substrate (x-gal), which turns blue when cleaved by the enzyme. Might this line of thinking inadvertently give some students the impression that biological systems have a broader -- perhaps supernatural -- purpose or design? How can I stay clear of potential teleological thinking in microbiology? One way is to focus on structure-function reasoning, similar to the aardvark example above. Rather than asking a vague “why” question, I could ask "What structures and functions are involved with the E. coli colony color turning blue?" I could then explicitly contrast methodological practices with natural phenomena by following with, "In this experimental setup, the E. coli are blue. Are they blue in nature? Would this trait be adaptive in nature?" Finally, I could explicitly disambiguate the "design" we do as human researchers from the adaptive emergence of functions produced by evolution by natural selection. Q: "Why are bacteria becoming resistant to antibiotics? A: Antibiotic use promotes development of antibiotic-resistant bacteria. Every time a person takes antibiotics, sensitive bacteria are killed, but resistant germs may be left to grow and multiply...."
Mead and Scott follow-up their article with a ‘Part II’ discussion about the terms "cause" and "chance," with an interesting discussion of proximate and ultimate causes (Mead & Scott, 2010b). In a future blog post, I'll address how various subdisicplines of biology tend to think proximately and ultimately. Others (Rector et al., 2012) have taken a closer look at a set of somewhat more technical evolution-related terms (pressure, adapt, select, must, and need) that have ambiguous usage within and outside of science, which I plan to write on as well. What do you think? Where is there room to incorporate evolutionary thinking across the curricula? How do different biology disciplines have unique challenges when it comes to making those changes? 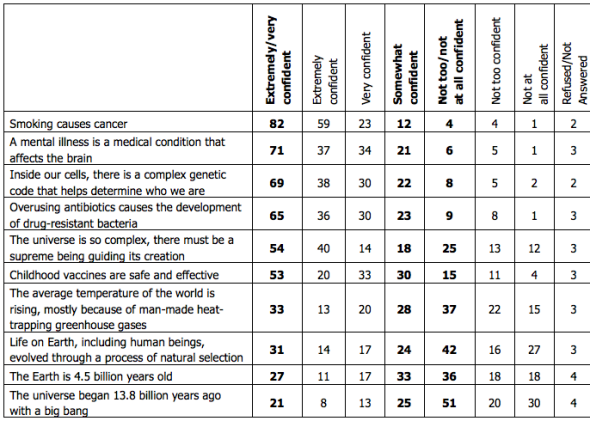 "Poll: Big Bang a Big Question for Most Americans"
"More people believe in bacterial evolution than human evolution..."
After reading the actual questions used in the Associated Press-GfK poll, I disagree. Respondents were given a variety of statements which they rated from 'Extremely confident' to 'Not at all confident.' The topics included human evolution, the cause of cancer, vaccine safety, climate change, etc. But a closer look at the statements and responses indicates some big flaws. For example, one statement reads "The universe began 13.8 billion years ago with a big bang." Fewer than 50% of those polled were highly or somewhat confident in the statement. It seems this statement was meant to assess American's confidence in the Big Bang. However, another interpretation of the statement is that it isn't so much about whether the Big Bang happened as it is about whether someone remembers when it happened. Personally, I'm not that confident I'd remember whether 13.8 myr is the best estimate produced by science, even though I've been watching the new Cosmos! I'd rate that as "Not too confident." For evolution there are two questions: 1) "Life on Earth, including human beings, evolved through a process of natural selection." and 2) "Overusing antibiotics causes the development of drug-resistant bacteria." Respondents were more often at least somewhat confident in the statement about antibiotic resistance (>90%) than the one about human evolution (<50%), leading to the inference that people more highly 'believed' in microbial evolution than human evolution. The major problem with this 'comparison of evolutions' is that the antibiotic resistant statement is incorrect. Applying selection pressure (in this case, antibiotics) does not cause drug resistant bacteria. Mutations and horizontal gene transfer cause drug-resistant bacteria. We've known that since 1943, when Luria and Delbruck showed that mutations happen first, then selection acts on that variation. The mutation timing misconception* is a frequent thorn we try to address in evolutionary biology and microbiology education, and it's too bad it's shown up in a national poll gaining a lot of headlines. The other problem is that 'evolution' wasn't used in the antibiotic resistant statement, and the word itself may influence how some people respond because they have different notions about what evolution is and isn't. How would I score the evolution questions? I'd give the human evolution statement "Extremely confident" and the antibiotic question "Not at all confident." How to improve the poll? 1) Pose the antibiotic resistant statement in a manner similar to the human evolution statement, perhaps "Antibiotic resistant bacteria, including MRSA, evolved through a process of natural selection." 2) Take out specific qualifiers that many people would be uncertain about, simply stating "Antibiotic resistant bacteria evolved through a process of natural selection." And "The universe began with a big bang." 3) Run the statements by some experts. A physicist might see the Big Bang statement differently than a biologist. Other microbiologists and evolutionary biologists will see the statements I came up with in a different way and have further qualifications. The game: you're the red owl, and you are hungry for mice; how fast can you catch each type? Now how fast are you? Selection for mouse color changes in a new environment. Play the Predator! How fast can you catch the light colored mouse? My times were 7.5 on the beach (upper left) and 5.5 on the field soil (middle left). Try to beat my time at the Evo-Ed Lab. Build-a-Tree: Way better than building bears, but you might find those here too. The first two levels are easy, but then you might need the clues (I did!). What do T-Rex and a bird have in common that lizards don't have? Piece it together at the TIDAL Lab. Can you piece together the tree of Animalia at the TIDAL Lab? It doesn’t. It’s E. coli. Today we began Day 1 of the Microbial Genetics Lab for Undergrads here at Michigan State – we’re lucky this year with small class sizes of 32 and 28 students, with three instructors per section! Students arrive, usually without the pre-lab completed, hear a short technical lecture on the day’s tasks, and then set out to do the tasks. I find the entire thing to be a crazy fun bustle of confusion as we teachers tumble about the room correcting flaws in sterile technique, quizzing students about their conceptual understanding of the experiments, encouraging the especially curious. 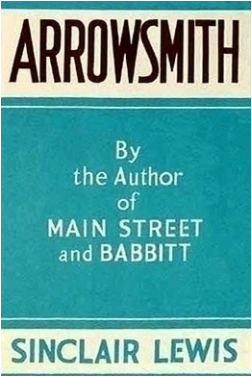 (Will there be any Martin Arrowsmiths this semester?) This is my second semester of teaching, so I'm still learning how to organize a classroom. Next I asked the students what they would be observing in the next lab period. Most said, “Whether or not the strains grow.” This answer, I think, is a residual response from the intro micro lab, where the students spend the semester streaking unknown isolates on various media, using growth to help identify species and strains – it’s typical flowchart work that doesn’t require much thinking. So, I next got to explain that we’ll be observing gene expression using color indicators and that we’ll be thinking a lot about genes and operons this semester, and welcome to microbial genetics. Today we used x-gal to indicate expression of the gene coding for B-galactosidase, which results in blue colonies. Sometimes I ask my students questions like, “Why does E. coli want to produce blue pigments?” That gets them to think and provides a teaching moment that a) E. coli doesn’t really want or not want to do anything; it's E. coli, and b) In the natural environment B-galactosidase metabolizes the sugar lactose, not x-gal, which is a convenient substrate we use in the lab to produce blue colonies. Most of the time, teaching microbiology doesn't feel like this. My goals today were to get to know the students and to get a sense of their current knowledge during a ramp up to my evolution ed research project. For the most part, I won’t be in the teaching lab this semester. I will be attending (and delivering parts of) our weekly lectures, answering questions, and running one two-week lab with experimental evolution. Half of the class will do the evolution experiment, the other half won’t. This summer I spent a fair bit of time on protocol development and writing a set of content and attitude assessment questions for pre- and post-testing. The hard part will come later, when I score the assessments and use stats to see whether incorporating evolution helped the students learn about natural selection and microbiology. My assessment will address a spin on Dobzhansky’s adage that “Nothing in Biology Makes Sense Except in the Light of Evolution.” I prefer the more specific and approachable “Everything in Microbiology Makes More Sense in the Light of Evolution.” This assessment will be important, because it will give me concrete data about what the students know and what they’ve learned. That’s critical in research; without it, we tend to rely on anecdotes of the type I shared throughout this post, rather than getting a fair sample and data. ... read the punchline and more in my post for the BEACON "RESEARCHERS AT WORK series. A blog for all things non-dissertation.